My solo concert hall debuts in Sao Paulo (November 1957) and Rio de Janeiro (March 1958) were successful. The programs of my concerts were conceived by Sávio, with repertoire ranging from classical to contemporary, including Brazilian. An immediate interest developed from the Chantecler label, initially part of the RCA Brazil label group, to record with me. My first recording sessions were held at a studio in downtown Sao Paulo, in July 1958. It became the first LP both of the new label and of myself, entitled Dez Dedos Magicos [Ten Magic Fingers]. 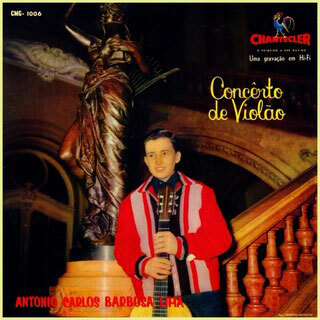 O Menino e o Violao [The Boy and the Guitar], my second LP, followed in 1959. After having been out of print for over 40 years, they were released by the ZOHO label in August 2015 under the title The Chantecler Sessions Vol. 1 (ZOHO ZM 201508) as the beginning of a four-CD series covering my entire output of 8 LPs which I recorded for Chantecler between 1958 and 1965. The Chantecler label was very pleased with the success of the two first releases in 1958 and !959 and wanted me to do a new project in 1960. For this new recording, entitled Concerto de Violao (Guitar Concert), Savio was still the one who conceived the repertoire, with an input of Theodoro Nogueira who had introduced me to his music. Nogueira dedicated to me his Brasiliana No.4 inspired by the ambience of the hinterlands in Sao Paulo state, being a first recording. Also, Savio selected Valsa Choro by Camargo Guarnieri, whom he knew and who was one of the prominent composers in Brazil. This was also a premiere recording. The overall concept of the repertoire was from Classical European to Spain, Brazil and Latin America, including Antonio Lauro's Vals Venezolano [Venezuelan Waltz] which wasn't even published yet. Savio had copy of Lauro's manuscript score sent to him by a friend of the composer. To my knowledge, this was its first recording done in Brazil. My friendship with him was very inspiring, and he became a sponsor who a few yews later coordinated plans for my first trip to the USA in 1967. He composed many tunes inspired in the folk music of Brazil's Northeastern region. Since he didn't read or write music, I wrote down all his music and arranged them to include on my concerts. From 1961 on, I went to Bahia yearly to give concerts, and to enjoy Queiroz's friendship. He offered me to sponsor a recording in which I included a few of his pieces mixed with works chosen by Savio, who approved the project. The LP was entitled Antonio Carlos Barbosa Lima Interpreta. Its repertoire ranged from the European Renaissance to Classical, Romantic and Queiroz's music with its folkloric flavor of Brazil's Northeast. This was a departure from the three first LPs for me, with a different blend of styles. It was recorded in Sao Paulo (I can't recall which studio) in late1962 and released in 1963. 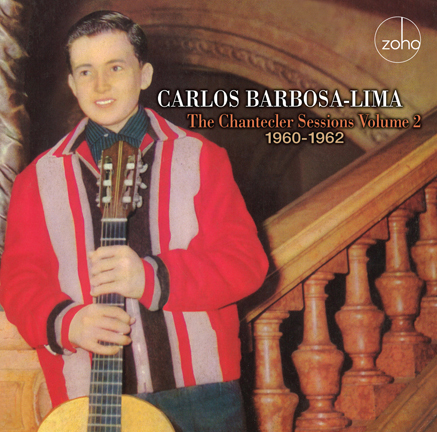 Recorded in Sao Paulo, Brazil, in 1960 and 1962. Producer: Isaias Sávio. Produced Under License From Warner Music Brasil Ltda. Producers of re-issue: Hector Martignon and Joachim "Jochen" Becker. Art direction and package design: Jack Frisch.